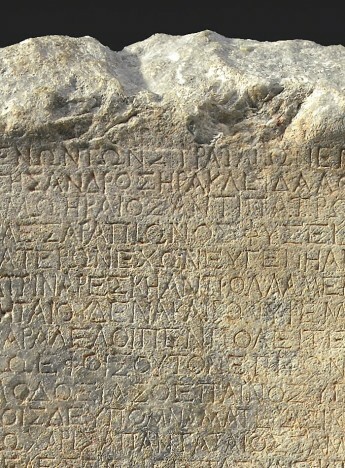 The ancient world was exceptionally multicultural and multilingual. Even within one kingdom or empire the cultural and linguistic diversity was extreme. How did states deal with this diversity? What strategies did they use to address wider audiences? We will focus on inscriptions (on stone or other material, but also including the legends of coins), which in many cases are the only source at our disposal for most of the regions we want to envisage. While not neglecting Rome and the western Mediterranean, our main focus will be on the regions extending from the Eastern Mediterranean to Central Asia. Some ancient kingdoms or empires (for instance the Seleukids) made the choice of one single official language, but many others (the Achaemenids, the Ptolemies, the Parthians, the Sasanians) opted for a diversity of languages. Even more strikingly the languages used by some states (for instance Armenia or Georgia) in their inscriptions were not even their own, but those of their neighbors. In some cases, it took centuries before a new script was developed, which allowed inscribing texts in a form of “national” language. The emergence of these new languages should provide also a worthy topic of analysis. Inevitably, these interactions between cultures and languages produced interesting phenomena of code switching, where some words are borrowed from another language, because the “target language” does not have the equivalent word. Interaction between Greek and Latin has already been well studied but there is more to do for the interactions between languages in the East.